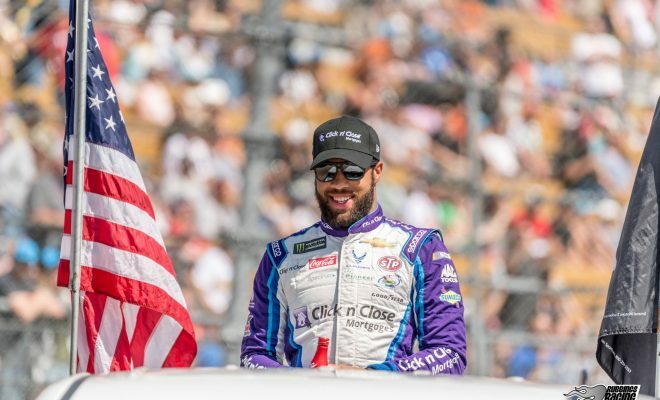 Darrell Wallace Jr, better known as Bubba, is in his first full-time season in the Monster Energy NASCAR Cup Series in the famed No. 43 Chevrolet Camaro ZL1 for Richard Petty Motorsports. Wallace is the first full-time African-American driver to compete in NASCAR’s top series since Wendell Scott in 1971. While it’s certainly been the topic of conversation don’t let that shadow the fact that this guy is where he is because of hard-work and talent. Wallace spent much of the 2017 season without a ride in any of NASCAR’s series. Wallace spent some time behind the wheel of the No. 6 for Roush Fenway Racing in the Xfinity Series, but due to sponsorship issues the team was forced to suspend operations for the No. 6 team after Pocono in June where he finished 11th. Wallace made his Cup Series debut in last year’s Pocono 400 where he started in the 16th position while filling in for an injured Aric Almirola. 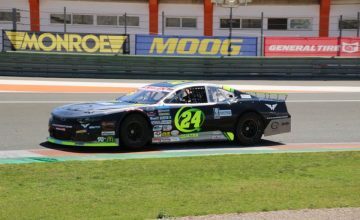 It was a tough debut for the young driver who suffered speeding penalties on pit road and ultimately finished in the 26th position, one lap down. With all obstacles comes positivity though as Wallace drove the No. 43 to a then MENCS career best 11th place finish at Kentucky Speedway. Wallace spent a total of four races in the No. 43 before Almirola returned. He then went on to race the No. 99 for MDM Motorsports in the NASCAR Camping World Truck Series race at Michigan in August and captured his sixth victory in the series. One month later Wallace raced the No. 98 Ford for Biagi-DenBeste Racing at Chicagoland Speedway in the Xfinity Series finishing in the 10th position. It was announced in October that Wallace would be in the No. 43 seat full-time in 2018 with Aric Almirola departing RPM. The news was very well received as most thought Bubba was the most deserving of the open seat and has quickly become a fan favorite among many. Fast forward to the 2018 Daytona 500 and Wallace made quite the impression through out the entire week leading up to the Great American Race. Wallace paced final Daytona 500 practice and finished in the third position in his Duel 1 qualifying race after starting in 13th. The 24-year old Mobile, Alabama native started his first Daytona 500 in the seventh position and spent much of his day at the front of the pack. He avoided the chaotic wrecks and drafted well with fellow competitors, proving he could be competitive and run towards the front. While Austin Dillon driver of the No. 3 Chevrolet for Richard Childress Racing went on to win his first Daytona 500, one of the biggest stories coming out of the day was the fact that Wallace finished second. It was a career best for Wallace, besting his 11th place finish at Kentucky last summer and the emotion certainly showed in the media center following the 200-lap event. The three races following Daytona Wallace has finishes of 32nd (Atlanta), 21st (Las Vegas) and 28th (Phoenix). While his finishes aren’t top-15 or top-10 finishes by any means, Wallace has been very consistent, gaining experience with every lap that he runs. It’s important to note that Wallace currently sits 19th in the standings and is ahead of the likes of Jimmie Johnson (26th), Daniel Suarez (22nd) and Jamie McMurray (28th) to name a few. He is also ahead of Hendrick Motorsports Rookie William Byron by 9 points in the Rookie of the Year Standings. Wallace may or may not win in 2018, you can never tell how a race will go, especially when the MENCS heads to Talladega or Daytona. However, with more experience gained each week, and solid finishes added to his racing resume Wallace has a great shot to earn ROTY honors at the end of the season. In my opinion, Wallace could very well be a solid contender in the future for NASCAR’s Most Popular Driver Award. Wallace is just what the sport needs in a time where attendance is still not where it needs to be, and the veterans are starting to retire. Wallace has that personality and fresh face that draws people to him which in turn brings people to follow the sport and sport No. 43 gear. It also doesn’t hurt that fellow fan favorite Ryan Blaney is his best friend. Heading into Fontana, California this weekend Wallace and his RPM No. 43 will have Farmer John on board as the primary sponsor. The sponsorship was announced on Twitter on March 9th. Farmer John is the leading supplier of fine meat products throughout the West Coast. This will be the companies NASCAR debut and their first partnership with RPM. Wallace will make his ninth career MENCS at Auto Club Speedway on Sunday in the Auto Club 400 and will look to improve upon last weeks struggles. 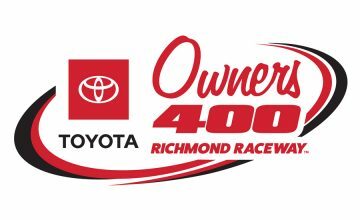 While it will be Wallace’s first MENCS start at the track it’s important to note that he has run laps on the 2-mile low-banked oval. In the NXS race last Spring he finished in the sixth position after starting tenth.